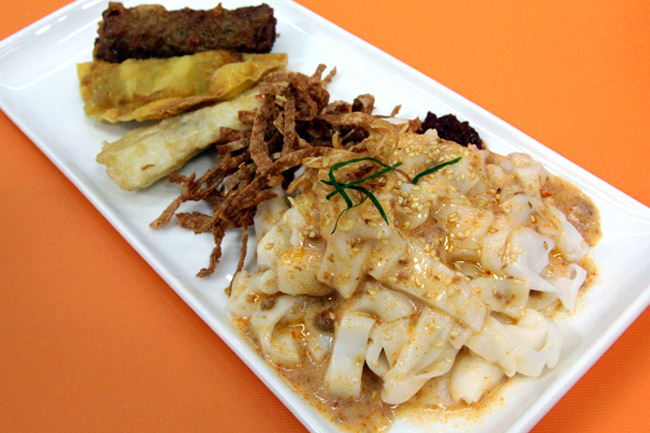 Ipoh in Malaysia is famous for so many dishes, for which Hor Fun and Chee Cheong Fun comes immediately to mind. 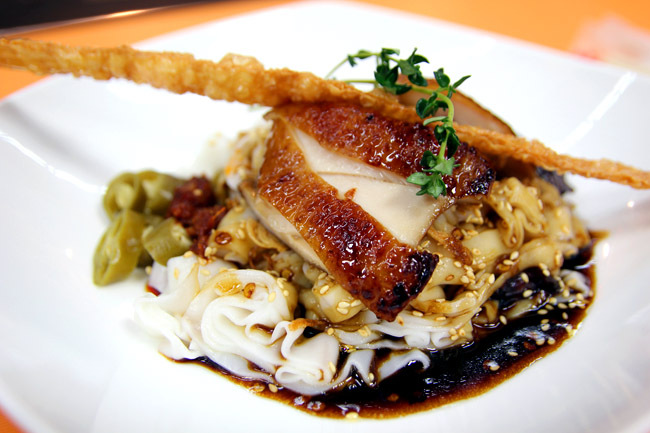 Both are flat rice noodle dishes, so white, smooth and silky. Somehow the texture of rice noodles from other places is just not as good as Ipoh’s. The residents of Ipoh would proudly claim that karst limestone mountain water which is clear, clean and full of minerals, is the reason why rice noodles and vegetables are just so different from anywhere else. 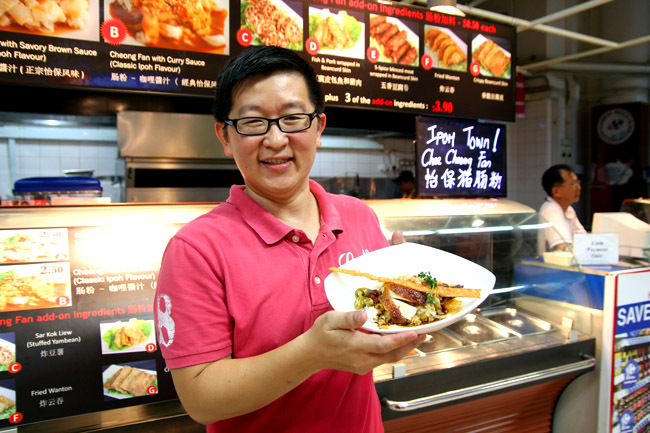 Indeed Malaysian Robert Goh is brave enough to bring in the Chee Cheong Fun freshly straight from Ipoh to sell it here. He trusts his products. I cannot exactly comprehend why of all places, he would choose to open his shop at the far end of Carrefour Deli, even though the stall does get a crowd from New Creation Church during Sundays. Somehow a coffeeshop stall or food kiosk may make more sense. Frankly speaking, I did not expect much initially. After all, the Deli is where I buy cold sushi and roast chicken. But when I took my first taste on the Cheong Fan with Sichuan Gongpao Sauce ($2.50), I knew that Robert meant business. It was seriously so smooth the rice noodles slipped down the throat, and indeed the texture was slippery. 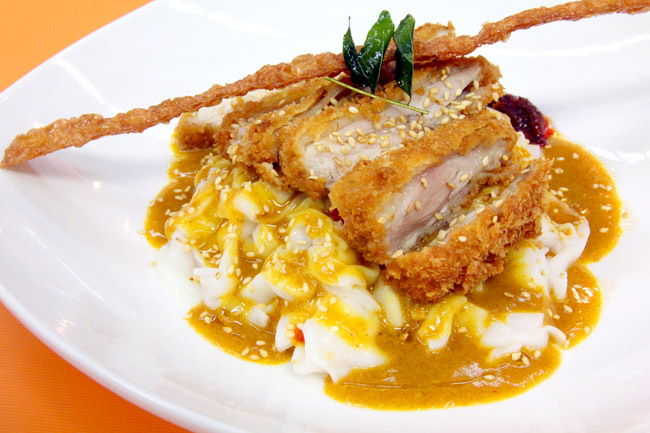 The Cheong Fan with Curry Sauce ($2.50) and Laksa ($3.90 with 3 add-on ingredients) are experimental moves, tweaked to suit the local Singaporean palates. The gravies though creative, did not blend in with the Cheong Fan that well, and I would suggest thinner and more sauces. When in doubt, go for the Original Authentic Ipoh Cheong Fan with Savoury Brown Sauce with a Fish & Pork meat wrapped in Beancurd Skin ($3.00 with 1 add-on), the later an innovative take on the Fuzhou fish ball.